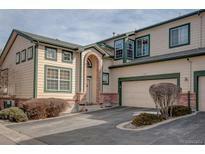 Find Northglenn, CO Condos for sale. View Photos, Maps and MLS Data Now! Fox Run - Glorious 2-story town house in an excellent central location * Open floor plan flooded with natural light * Updated and tastefully remodeled * Stainless steal appliances * Newer windows, carpet & paint throughout * Private master-suite * Custom built-in closets in both bedrooms * North Metro Light Rail (N Line) is coming soon and is nearby * Strong HOA yet affordable * Surround yourself with endless trails and open space MLS#7205808. Signature Real Estate Corp..
Great location, near park and Northglenn Recreation Center, convenient to I-25 and public transportation. MLS#4924245. COLDWELL BANKER RESIDENTIAL 54. Fox Run - Daily commute made easy with the light rail station just blocks away at 112th and York. MLS#9570475. Ion Real Estate Inc..
Taxes will be adjusted in 2019 to reflect new home. MLS#7826733. CHERYL SCHUETTE & ASSOCIATES. Great location close to new RTD/light rail park-n-ride coming soon, walking distance to parks, rec center, and walking trails. MLS#4081363. LIVE URBAN REAL ESTATE. Be sure to see it before it's gone! MLS#9930417. Keller Williams Integrity Real Estate LLC. Town home being sold "as is". MLS#4827530. Madison & Company Properties. You won't want to miss it! MLS#2092194. Buy-Out Company Realty, LLC. in full basement, 2 car garage and fenced patio area. Under Construction-Available in May. MLS#9821020. CHERYL SCHUETTE & ASSOCIATES. Very rare 2 car attached garage. MLS#8416875. RE/MAX Professionals. Highlands At Westbury - Truly a treasure, not to be missed! MLS#9041682. IDEAL PROPERTIES OF DENVER. the rest of the floor is ceramic or carpet. 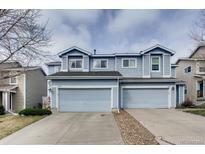 MLS#8528434. Keller Williams Realty LLC. Highlands At Westbury - This home is easy to love. MLS#7523482. Keller Williams Preferred Realty. Two additional bedrooms with a shared bath and the laundry complete the upstairs. A/C MLS#6871824. CHERYL SCHUETTE & ASSOCIATES. in full basement, 2 car garage and fenced patio area.Under Construction Available April/May. MLS#4054770. CHERYL SCHUETTE & ASSOCIATES.